See that display in the background? Take a closer look…! Aren’t these spectacular?? 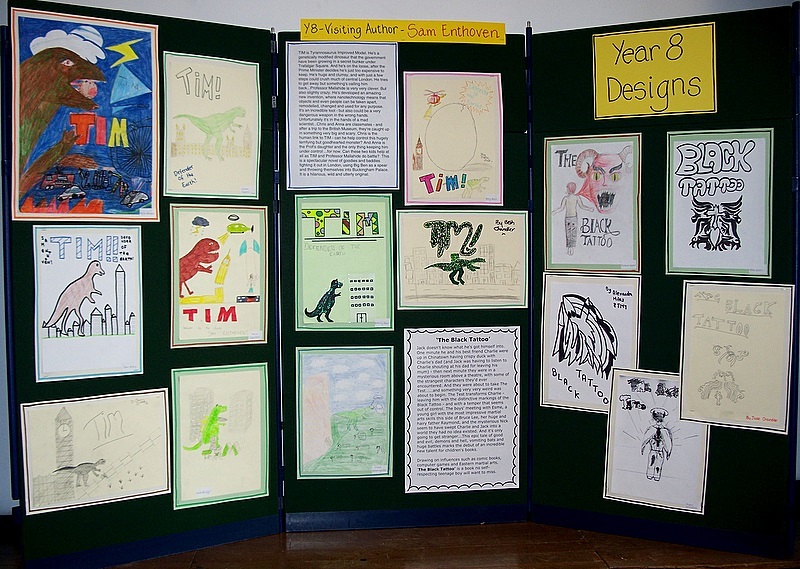 This fantastic display of Tim and Black Tat art was created especially for my visit by students in Amersham’s Year 8. Their work is going up for the world to wonder at in the window of the Amersham branch of Waterstone’s. 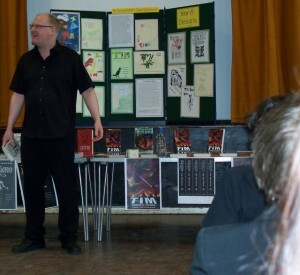 This was my first school visit for a while, and it was a CORKER. My gleeful thanks and best wishes to Ms Shapland for inviting me, but also to all of Amersham’s Year 8, who were a terrific audience: I hope you got something out of listening to me(!) because after talking to you I returned to the cave refreshed, reinvigorated, reinspired, and (best of all) reminded of what this writing-for-young-people caper’s really all about.